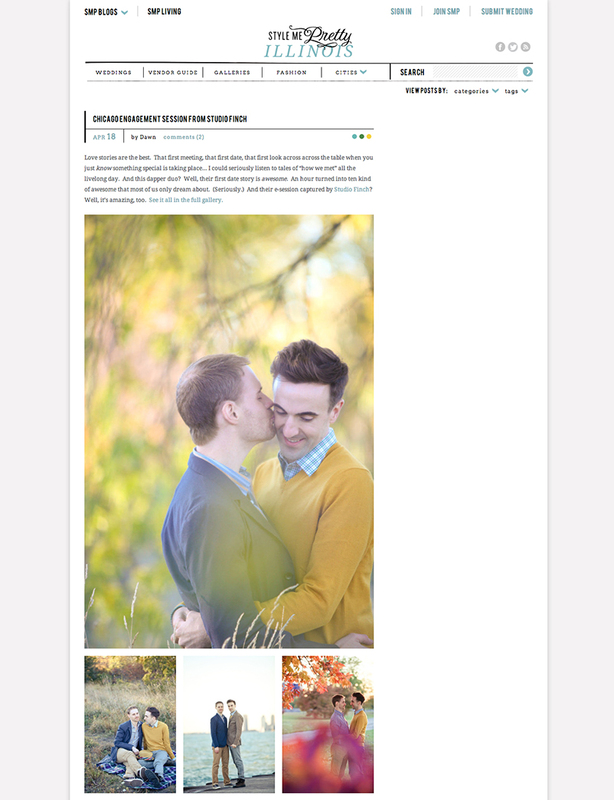 Owen and Matt’s Chicago Engagement Photography Featured in Style Me Pretty- Illinois! A huge thank you to Style Me Pretty – Illinois for featuring Owen and Matt’s Chicago Engagement Photography Session along the lakefront and at Cozy Noodle. See it on Style Me Pretty’s blog HERE.